In order to create a dramatic new lobby for this warehouse and office structure with a minimal construction budget, FPE Architects left much of the ceiling exposed and sparingly used common industrial materials. 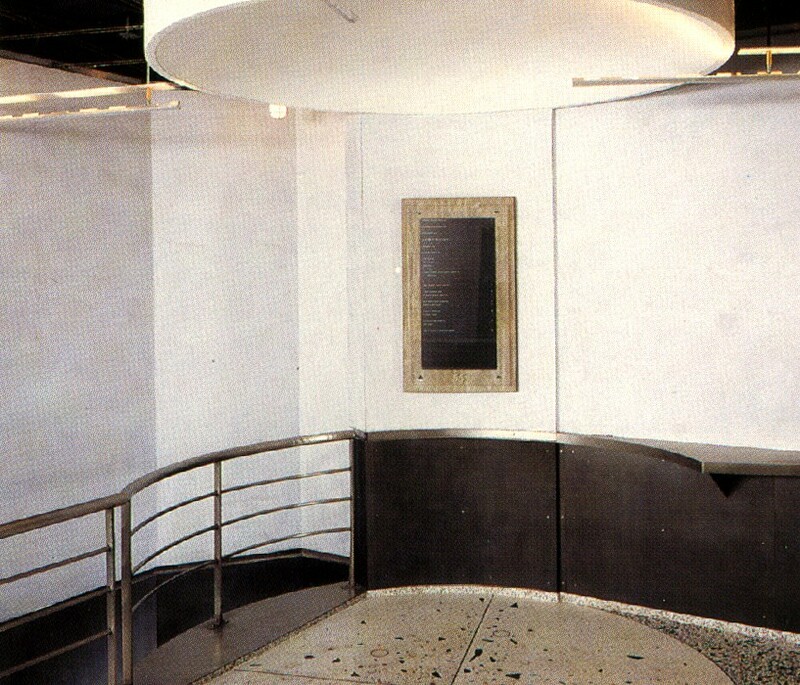 The floor and stairs are terrazzo, with metal and glass insets. 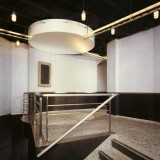 The center of the lobby is marked by a circular inlay reinforced by a floating fiberglass dome suspended from the ceiling. 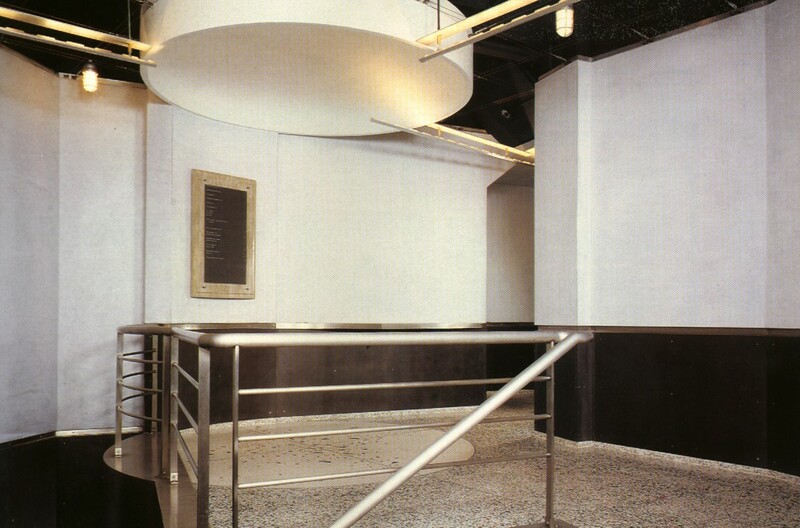 The ceiling plane also features a crisscross of yacht cables and industrial light fixtures. 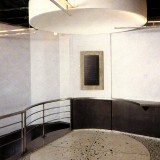 Stainless steel railings and sandblasted steel wainscoting protect the simple plaster walls. The new storefront entrance is angled for visibility from Hudson Street.